For the ultimate American Football experience, look to the Madden franchise. 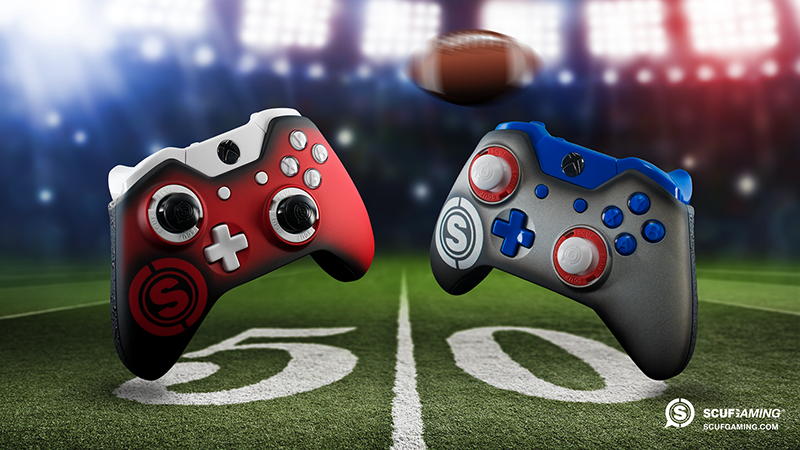 Representing the National Football League since the 1980s, the Madden series brings heart pounding excitement and all of your favorite pro football players and teams to your fingertips. Paddle configuration: Running the ball or making a game-changing interception requires a keen eye and quick reflexes. 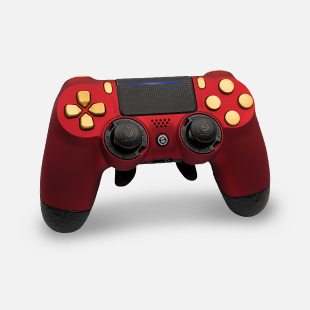 SCUF’s patented paddle control system places the face buttons at a more natural position on the underside of the controller; allowing passes, rushes and spins to be pulled off with ease. TeamSCUF recommends mapping the paddles to your favorite go-to receivers. See the difference for yourself as your quarterback throws more effectively. The increased usage of a player's hand is key to excellent plays, and SCUF's paddles mean that you're not just playing harder than your opponent: you're playing smarter. Thumbsticks: The superior craftsmanship of a SCUF thumbstick gives you a better handle on your players. The smooth action of the sticks makes movement graceful and precise. Spin move and juke your way past the defense. TeamSCUF recommends using the regular height, concave shaped thumbsticks. The concave shape of the means that you can really dig in as you play, and SCUF's superior thumbstick grip gives you a better opportunity to keep your quarterback safe. SCUF Grip: High-grade grip is exactly what a serious player needs to keep your hands on the controller during long play sessions. 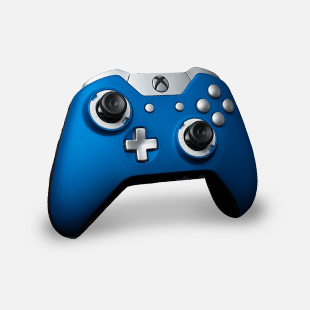 Add some GamerGrip, and you have got the perfect combination of dryness and hold to lead your team to the playoffs.